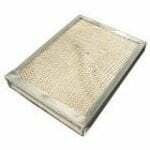 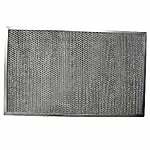 The Carrier 324897-761 Humidifier Water Filter Pad is a replacement humidifier water filter pad for several models of humidifiers from Carrier, Bryant, Totaline, and Day and Night. 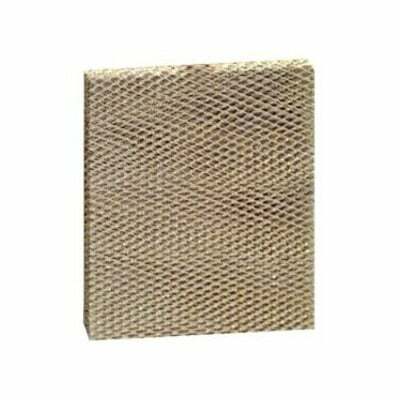 This Carrier wick filter utilizes honeycomb filtration to trap mineral pollutants found in water and prevents these pollutants from entering your home. 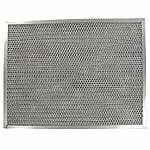 Approximate dimensions: 9 1/4" x 9 3/4" x 1 1/4"
This metal wick furnace filter also assists your humidifier in achieving peak performance and should be replaced twice a season for optimal results.